live performance - premium melodix! manga - eiki eiki no buchaketai!! manga - naitou ka hitobito. 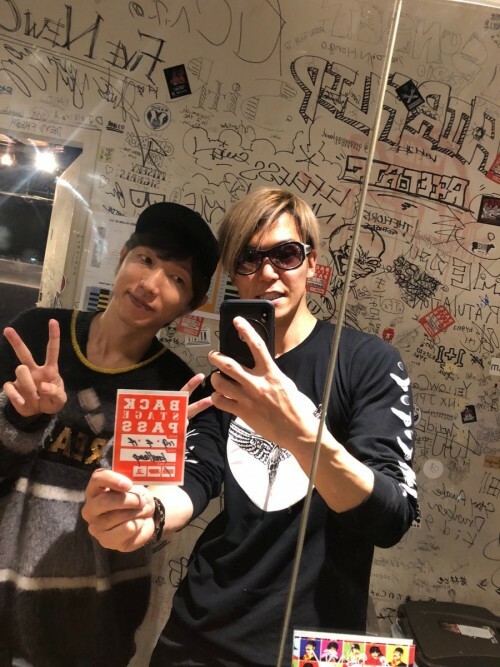 pics - shinpei with world 9 bros.
show - otameshi ka ! show - waratte iitomo ! special site - big bang ! Since 6th Aug 2010 , I've posted news updates of BREAKERZ via my LiveJournal & in the process , from humble beginnings , my LiveJournal has become a 1 stop place when comes to anything everything related to BREAKERZ . In the past , everything I post about the guys be it news , download of their music & scans were all locked but after my 1st Mediafire account been suspended , from now onwards , I'm going to post news about them in a non Friends setting aka viewable for everyone to read , regardless if you add me or didn't . However , I still lock certain selective posts . In addition , regarding downloadable material of them (be it scans , music , videos & etc) , I will not be posting the links on my LiveJournal now as I suspect because of doing this , leechers repost those links of mine to other places which caused my Mediafire account to get suspended . So what I will do for this , for future downloadable material , I will upload them via Sendspace , Mega and/or Mexashare but the catch's that , I will be personally giving the links to people that I feel I'm able to trust . I've already done that for HQ scans so it's kind of a natural step for me to do this . 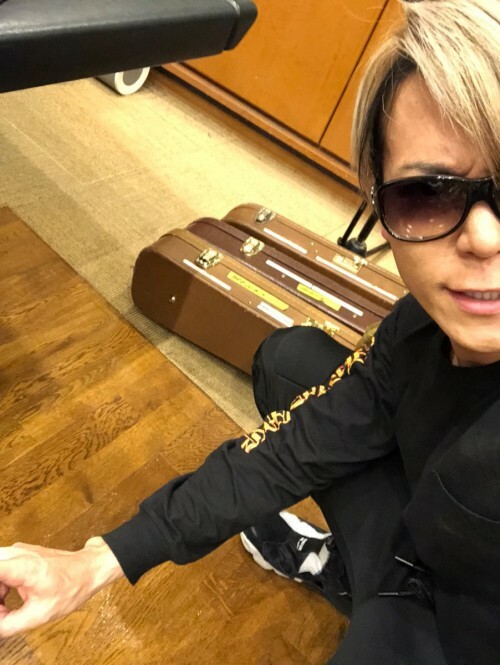 I thought by password protecting my files , I was able to get away with things but I was so wrong & I don't want to come to a situation where I stopped posting updates of BREAKERZ as this has been something I enjoy doing since Aug 2010 . All scans will be made Public now , with the catch that all scans I personally done/edit/resize/upload in my LJ , they will all contain watermarks . However certain material such as team brz related stuff , will continue to be locked as per normal . Please kindly CREDIT me should you wish to distribute the scans elsewhere on the internet . Some ungrateful people at times have absolutely no idea how much time if not effort I have to spend to get the scans done/edit/watermarked/uploaded in my LiveJournal . Even if that's not done , all the scans are watermarked by me to indicate to any internet passerby that I'm the 1 that did the following set of scans at the end of the day . 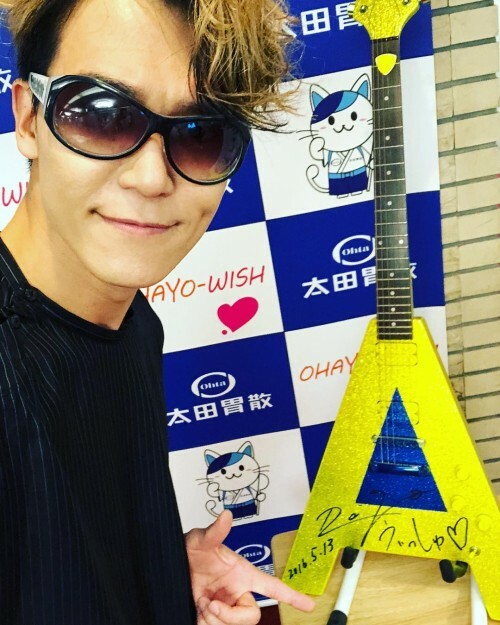 SHINPEI wrote on Instagram that the guys today did radio recording for DAIGO's OHAYO-WISH!! radio show . The radio broadcast that features the guys will be aired on 3rd May . 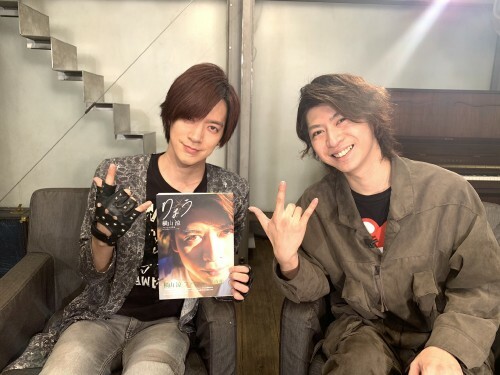 Actor Yokoyama Ryo was the guest for tonight / this month's episode of DAIGO P & it was also the last DAIGO P broadcasted during the Heisei era before the new Reiwa era will be ushered in next month . 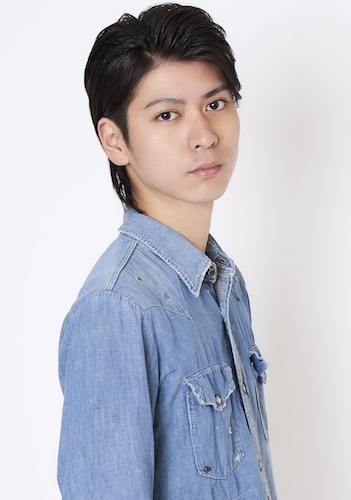 Yokoyama Ryo is colleagues with DAIGO as both of them are technically managed by the same talent agency . 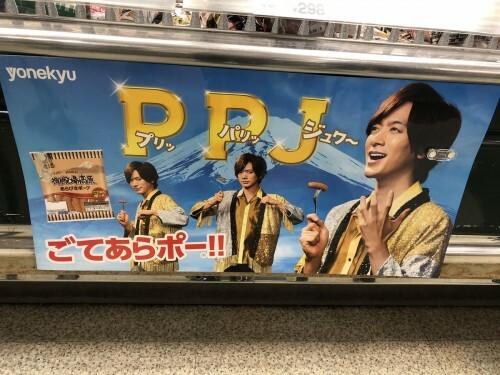 1st DAIGO P episode that will be aired in the new Reiwa era will take place on 20th May . Yokoyama is colleagues with DAIGO as both of them are technically managed by the same talent agency . 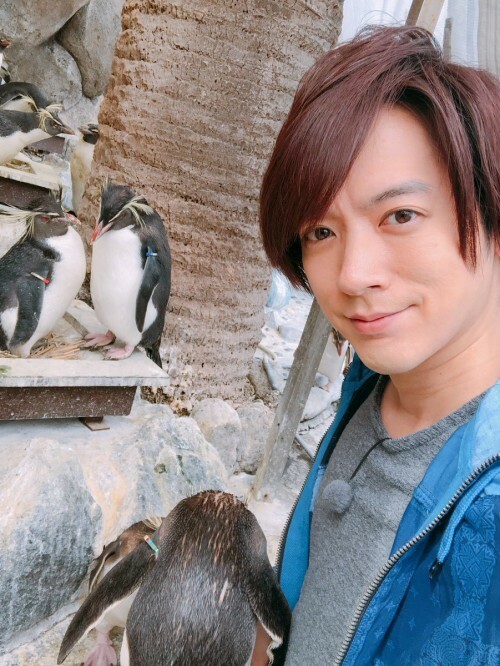 For Yokoyama , A-Team managed him while A-Plus manages DAIGO . 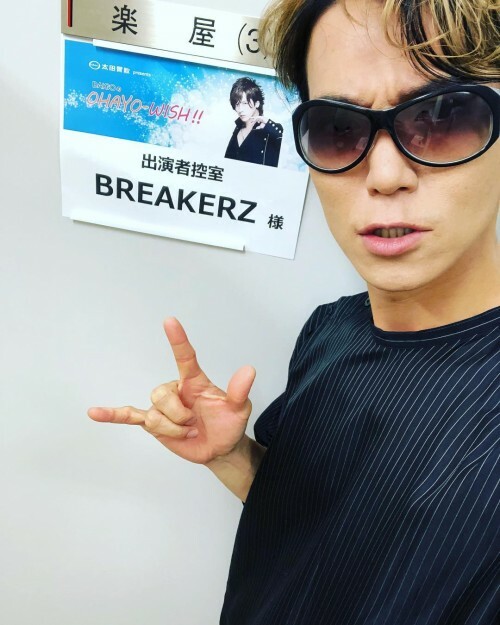 Radio time broadcast change for BREAKERZ・SHINPEI no Kin Niku no Midare wa Kokoro no Midare! 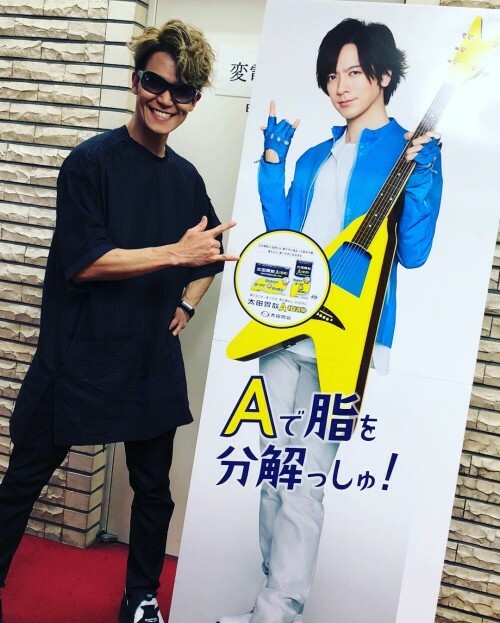 Being today announced that FM Odawara (87.9MHz) will change its broadcast of BREAKERZ・SHINPEI no Kin Niku no Midare wa Kokoro no Midare! starting from this month onwards . 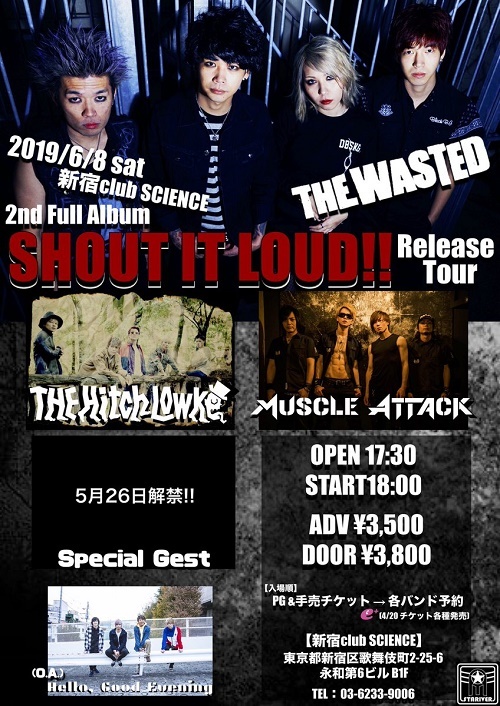 Hello,Good Evening will be the opening act for the concert while a special guest will be announced on 26th May . 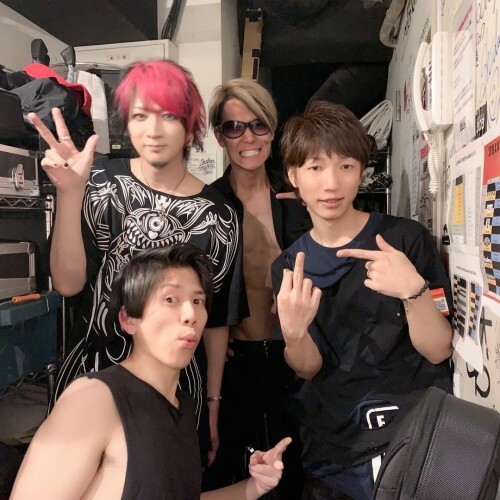 SHINPEI provided live guitar support for knotlamp at GREED ISLAND 6 yesterday . GREED ISLAND 6 began last month at Osaka & the 2nd league of the event took place last Sun in Nagoya and it concluded yesterday in Tokyo . 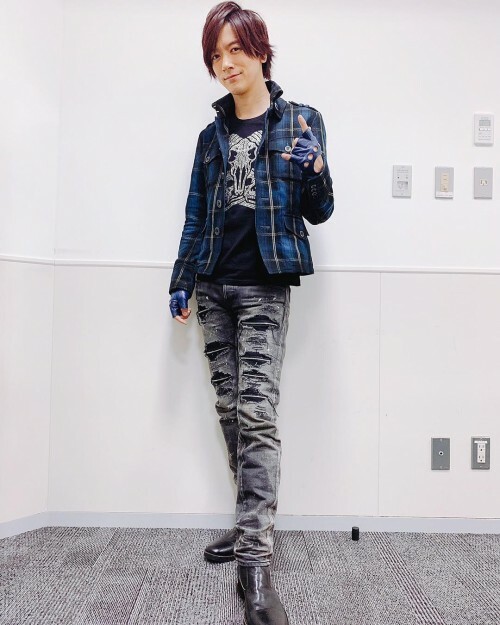 DAIGO was featured on today's 3 hours special episode of Tensai ! Shimura Dobusten & today's episode was to celebrate the 15th anniversary of the show's broadcast . Excite Music today published an article which talked about the various songs that had been used to promote Detective Conan for the past 25 years since it started . And this applied to the still ongoing anime and also for the animated movies as well . 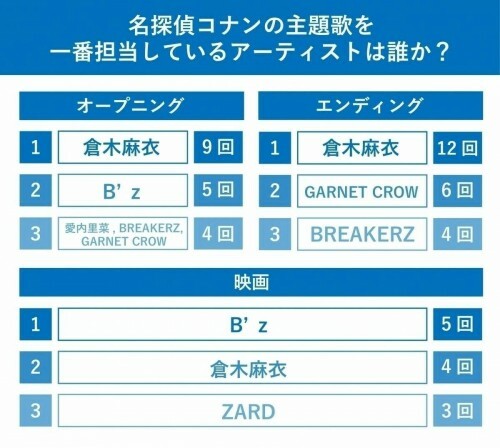 BREAKERZ tied with ZARD for providing 8 songs from their discography to promote the Detective Conan anime . For BREAKERZ's case , they provided 4 songs as opening themes & 4 songs as ending themes for the anime and none for the animated movies . 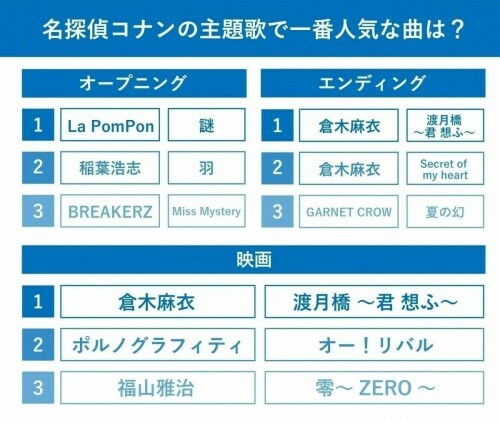 Lastly , Excite Music did up a list on which were the most popular Detective Conan used songs for opening , theme & movie promo used and this's based on the number of times that the songs were played on YouTube . 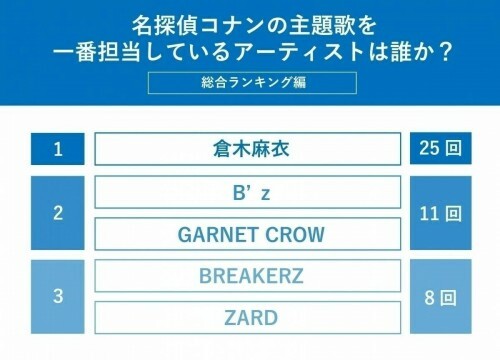 For BREAKERZ's case , Miss Mystery is ranked as the 3rd most popular opening theme song used for Detective Conan anime . And I'm also surprised that Everlasting Luv didn't made the cut either as it's still a fan favourite of the guys years after it was released & somemore that was released alongside with BAMBINO ~Bambino~ on DAIGO's then 31st birthday . Tomorrow's Tensai ! Shimura Dobusten episode broadcast is to celebrate the 15th anniversary of the show . I think this means the guys are laying the groundwork for their 20th single . That said , real psyched about it as it's about time for new BREAKERZ material anyway !